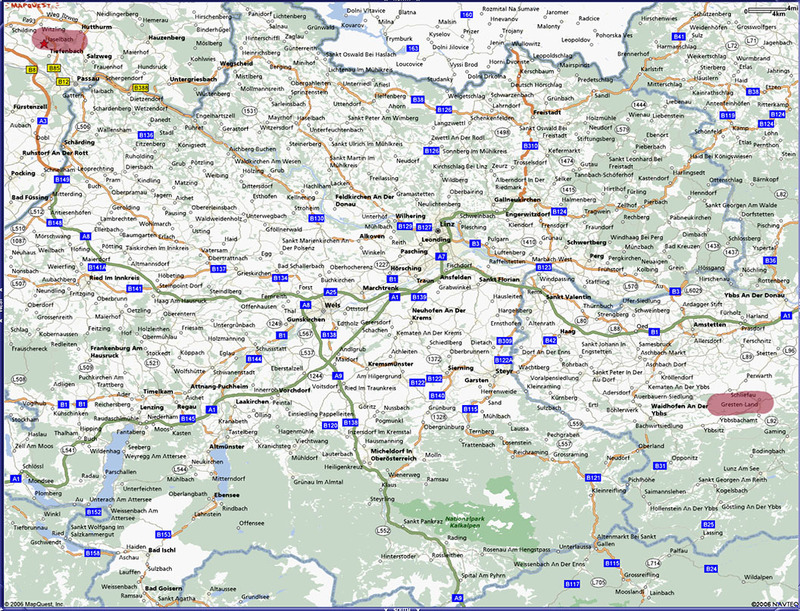 This is a map of the Northwestern part of Austria. The red highlighted area on the right is where Gresten is. (I will post more detailed maps of the specific area of the Hasselbacher homestead later.) Vienna is 135 km to the east. Note that Passau (just under the highlighted area on the left) is 200 km to the west, just inside Germany. The highlighted area is Haselbach, Germany. I had a great glass of Haselbacher beer there last October. I am unaware of the family connection-yet! The Hasselbacher name is said to have "Austrian" characteristics. I am told that the name is more common in Austria, but I have nothing on which to base that suggestion.